Getting less or no salary hike at all? Don’t worry! From the past few years, it has been observed that the average hike in the salary of a tech worker, particularly working in the United States of America is 0.6 Percent. 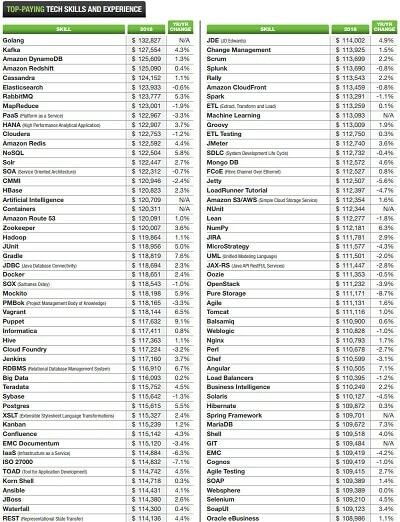 This is according to the salary report of Dice tech 2019 where they clearly mentioned that in the year 2018, the average Wage growth for tech worker working in the United States, is almost nothing, just about 0.6 percent from the year 2017 which basically comes to an average of $93,244 a year. But this doesn’t mean that you won’t be able to get a hike. 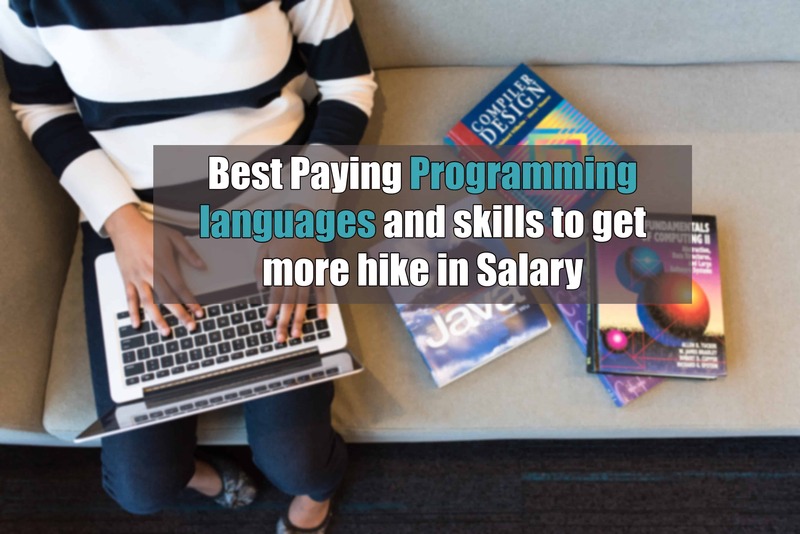 There are some programming languages and skills which if you can master, then surely you will be able to increase your salary figures. Dice tech surveyed around 10,780 technology professionals, and this resulted in the conclusion that 68 percent of tech workers would jump to get a higher wage, compared to the other 47 percent. So why those 68 percent people are getting hikes? The answer is pretty clear. They have those skills and programming languages with them which other’s doesn’t have. Except this the top-paying tech jobs are held by C-level executives and directors, whose average annual salary grew 3.9 percent over the year to $142,063. Salaries of software engineers grew 5.1 percent to $110,898, while technology strategist and architect wages grew almost 8 percent to $127,121. Database administrators on the other hand on average received $103,473 per year but wages grew 0.2 percent only. Meanwhile, web developer and programmer salaries grew 11.6 percent to $82,765. Even technical-support wages saw decent growth of 6.8 percent to $60,600. According to Dice the programmers using Google-developed programming language Go earned the highest on average at $132,827, while programmers using Apache Kafka earned an average of $127,554. Besides Go, you can check out our 10 best Programming Languages to learn in 2018. Below is the image provided by Dice regarding Top-paying Tech skills and experience.